Petrol, diesel prices today: The fuel rates vary from city to city and from pump to pump depending on local taxes and transportation cost. Petrol, Diesel prices today: With effect from 6 am, petrol prices stood at Rs 70.33 per litre in Delhi. Petrol and diesel prices were kept unchanged on Tuesday. 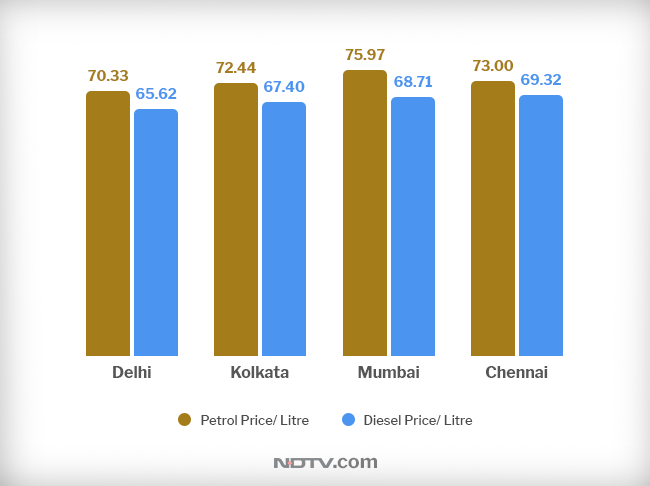 The fuel prices in Delhi, Kolkata, Mumbai and Chennai remained at the same levels as Monday, a day in which oil marketing companies (OMCs) increased the petrol and diesel prices by 5-6 paise per litre. 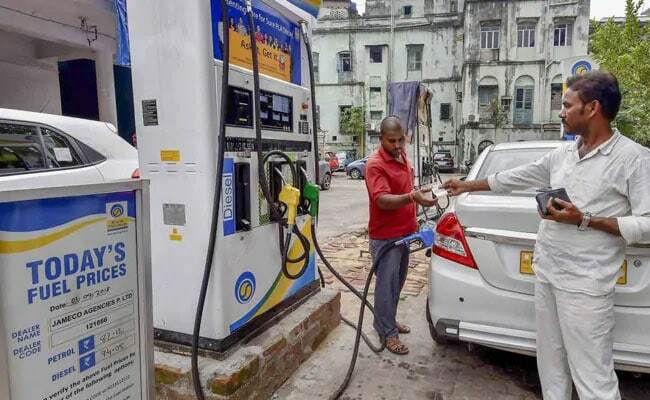 Currently, state-run oil marketing companies Indian Oil, Bharat Petroleum and Hindustan Petroleum review petrol and diesel prices on a daily basis. Any changes in the rates are implemented at petrol and diesel stations with effect from 6 am. With effect from 6 am on February 12, petrol prices stood at Rs 70.33 per litre in Delhi, Rs 72.44 per litre in Kolkata, Rs. 75.97 per litre in Mumbai and Rs. 73.00 per litre in Chennai, according to Indian Oil Corporation. Diesel prices remained at Rs. 65.62 per litre, Rs. 67.40 per litre, Rs. 68.71 per litre and Rs. 69.32 per litre in Delhi, Kolkata, Mumbai and Chennai respectively, according to Indian Oil, the country's largest fuel retailer. As per the country's dynamic pricing mechanism, the domestic fuel prices depend upon international fuel prices on a fifteen-day average and the value of the rupee. The fuel rates vary from city to city and from pump to pump depending on local taxes and transportation cost. Globally, oil prices rose on Tuesday amid Organisation of Petroleum Exporting Countries (OPEC)-led supply cuts and US sanctions against Iran and Venezuela, although analysts expect surging US production and concerns over economic growth to keep markets in check. Brent crude futures - the international benchmark for crude oil - were last seen trading 0.8 per cent higher at $62.01 per barrel on Tuesday.